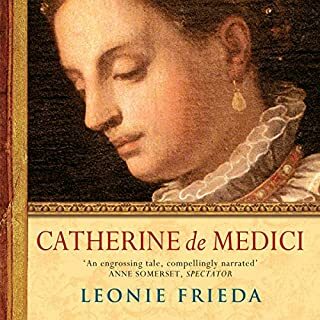 The best-selling revisionist biography of one of the great women of the 16th century. Orphaned in infancy, Catherine de Medici was the sole legitimate heiress to the Medici family fortune. Married at 14 to the future Henri II of France, she was constantly humiliated by his influential mistress, Diane de Poitiers. When her husband died as a result of a duelling accident in Paris, Catherine was made queen regent during the short reign of her eldest son (married to Mary Queen of Scots, and like many of her children he died young). When her second son became king, she was the power behind the throne. 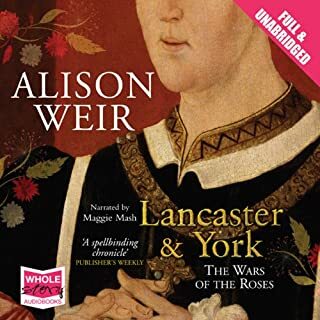 New York Times best-selling author Alison Weir is one of the most popular chroniclers of British and European royal history. 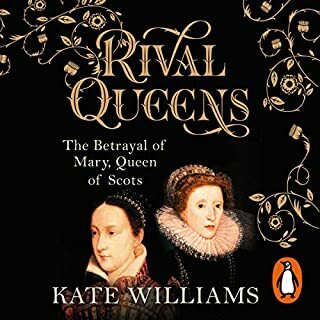 In this fascinating book she sheds light on the scheming, backstabbing and brutality that plagued England after Henry VIII’s death. 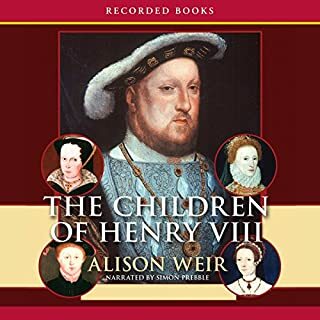 Filled with remarkable and sometimes shocking details, The Children of Henry VIII is an arresting narrative that brings the past to life and infuses it with all the flair of a riveting novel. 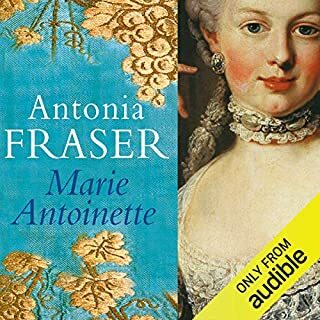 Marie Antoinette's dramatic life-story continues to arouse mixed emotions. To many people, she is still 'la reine mechante', whose extravagance and frivolity helped to bring down the French monarchy; her indifference to popular suffering epitomised by the (apocryphal) words: 'let them eat cake'. Others are equally passionate in her defence: to them, she is a victim of misogyny. During the spring of 1536 in Tudor England, events conspire to bring down Anne Boleyn, the Queen of England. 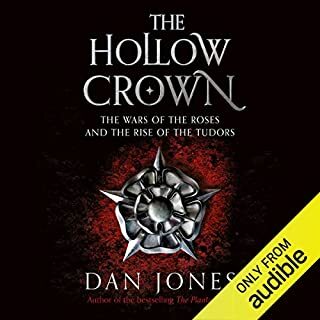 The coup against the Queen results in the brutal executions of six innocent people - Anne Boleyn herself, her brother, and four courtiers - and the rise of a new Queen. 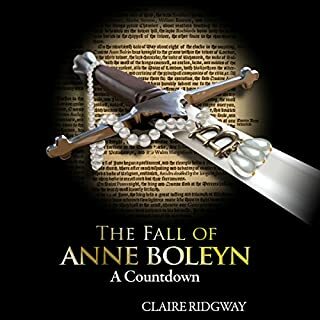 Drawing on 16th-century letters, eye witness accounts, and chronicles, Claire Ridgway leads the listener through the sequence of chilling events one day at a time, telling the true story of Anne Boleyn's fall. 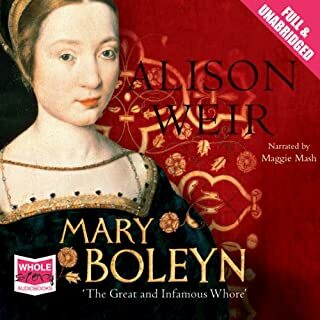 In the five centuries since her death, Catherine Howard has been dismissed as 'a wanton', 'inconsequential' and a naïve victim of her ambitious family, but the story of her rise and fall offers not only a terrifying and compelling story of an attractive, vivacious young woman thrown onto the shores of history thanks to a king's infatuation but an intense portrait of Tudor monarchy in microcosm: how royal favour was won, granted, exercised, displayed, celebrated and, at last, betrayed and lost. The story of Catherine Howard is both a very dark fairy tale and a gripping political scandal. Born into the nobility and married into the royal family, during her short life Catherine was almost never alone. Attended every waking hour by servants or companions, secrets were impossible to keep. 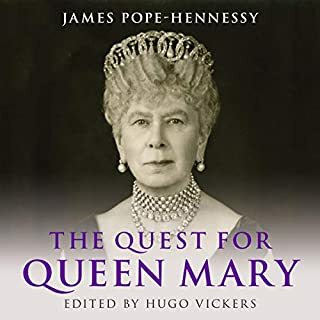 With his research focus on Catherine's household, Gareth Russell has written a narrative that unfurls as if in real time to explain how the queen's career ended with one of the great scandals of Henry VIII's reign. More than a traditional biography, this is a very human tale of some terrible decisions made by a young woman and of complex individuals attempting to survive in a dangerous hothouse where the odds were stacked against nearly all of them. 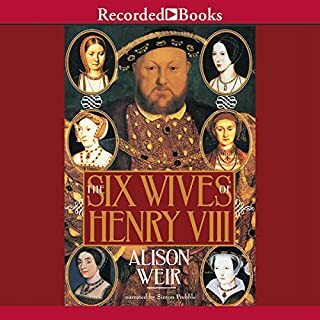 By illuminating Catherine's entwined upstairs/downstairs worlds and bringing the listener into her daily milieu, the author retells her story in an exciting and engaging way that has surprisingly modern resonances and offers a fresh perspective on Henry's fifth wife. 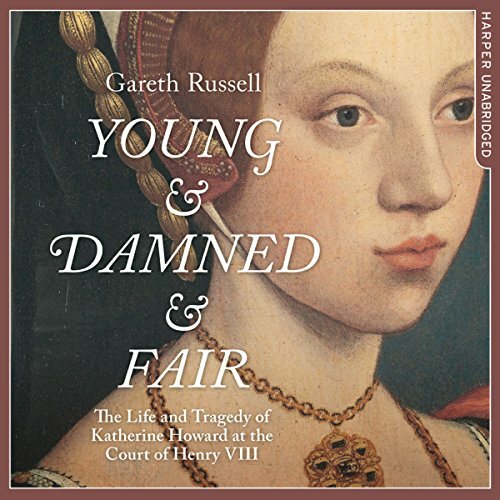 Young and Damned and Fair is a riveting account of Catherine Howard's tragic marriage to one of history's most powerful rulers. 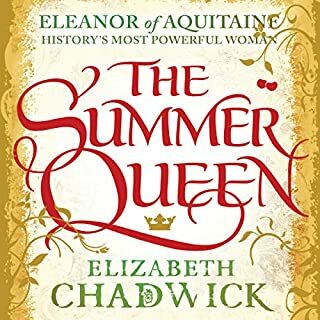 It is a grand tale of the Henrician court in its twilight, a glittering but pernicious sunset during which the king's unstable behaviour and his courtiers' labyrinthine deceptions proved fatal to many, not just to Catherine Howard. 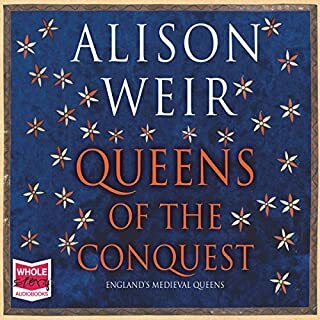 A balanced and well researched book on one of Henry VIII's lesser known queens. 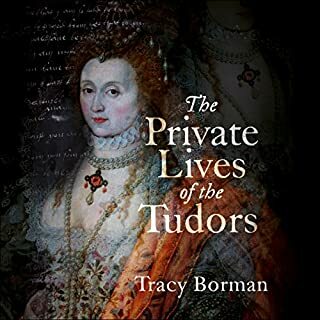 A fascinating look into the Tudor world. Just when you think you know the reasons for the behaviour of some people, along comes a story like this, and it makes you realise how far some of us are willing to go... or more to the point, how far your own family will take you for their purposes... Catherine Howard is a victim of circumstance, at a time when God might have forgiven you, but the ruler of your realm would not... a time when a woman's opinion counted for nothing and her only reason for living was to procreate, even though it could cost the lives of mother and child... and you would never consider disobeying your parents whose efforts are dedicated to placing you in a marriage of convinience for the whole family and discribed as 'a goodly match'...promised to a man at the age of eight, married to him at the age of twelve, and could deliver your first child at 13... you are not to contradict your husband, especially if your husband is Henry VIII, or you will lose your head... What a world! Gareth Russel does one hell of a job, with his details and descriptions, making you cringe, suffer and empathise with Our Lady Katherine, Queen Consort and temporary resident of The Tower. Jenny Funnell has a voice that I can hear coming out of Katherine, just beautiful. And the story is guaranteed to rival her cousin's, Anne Boleyn. Five Stars right across the board! hasten to add detracted from the overall quality of this book. 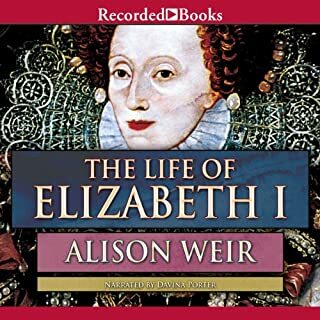 warrant an entire biography of its own for this short lived queen consort. part of the telling of her story as a whole. a good historian / biographer I feel. Would highly recommend- well structured and personally I feel the female narration has a really positive impact. Did Jenny Funnell do a good job differentiating each of the characters? How? She does an okay job, although she loses her way sometimes with the punctuation and pronunciation, but not really enough to be off-putting. 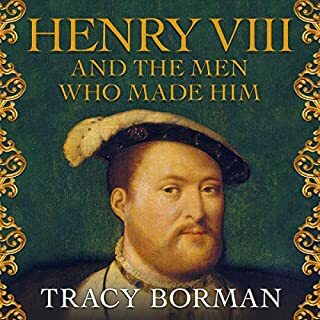 I enjoyed this book very much, but at the end of the day, we hardly know anything about Catherine Howard (nice to have a Tudor we don't know everything about!) and so if you're reading/listening to this to learn more about Catherine, then I think you'd be disappointed. But what is interesting are the politics around her and the machinations of the families, which is always interesting, and vaguely horrific when you realise how people were moved around like pawns on a chess board to help their families improve their political clout. Henry VIII remains an odious beast (and odorous by this point of course) with vaguely perverted tastes when it comes to a fresh young thing like Catherine, and I still believe that his reaction to her (possible) adultery and (possible) pre-contract was that of an old man who can't believe that anybody could ever prefer anybody over him. He, who was the young god of the courts, in effect usurped by other, younger men in positions of much less power. Interesting for the questions it brings up more than for its supposed subject, perhaps. There is a great deal of fact in this story which needs deliberation and definition. 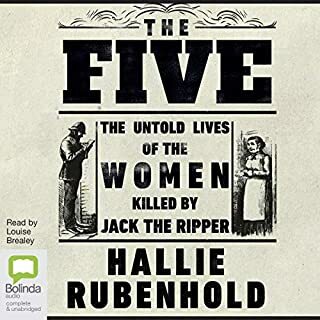 The narrator has a pleasant voice, but insufficient range of intonation, and tends to join paragraphs and sections as if they were sentences - so that different subjects sound like they are the same one. Although I suspect this could be largely down to the editing and a couple of edits can in fact be heard. So overall this spoiled a very interesting piece of work, which I think I might now read hard copy. This was picked up on a whim and is a wonderful and interesting read about one of Henry’s lesser known queens. 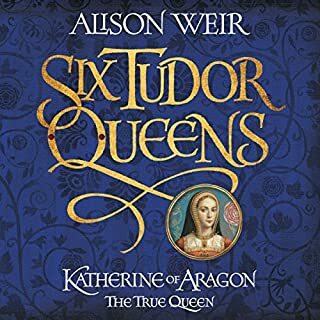 We will have to wait another couple years to see what Alison Weir makes of Catherine Howard in her Queens series however this historical read ticked all of the enjoyment boxes for me. I found this book very disappointing and frustrating. So many other characters that I didn't think warranted chapter after chapter. It was only the last four chapters that really brought Catherine to the fore. Loved this book. The detail is amazing. So well researched and explained. Not at all boring though - not for me anyway as I love all things Tudor. 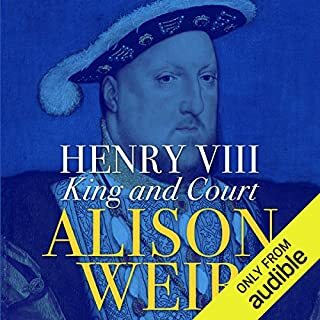 this account of the life of Katherine Howard, king Henry VIII's 5th wife does a great job of trying to find the truth behind the gossip and popular mythology that has arisen from the time. very nicely narrated and an easy listen. would recommend.